Businesses offer different things. You have service based businesses. Service and product businesses which sell both, and then you have product only businesses. You also have ecommerce versus brick and mortar as well as a combination of the two. With so many different small businesses it might seem like there is an email marketing campaign for all of them or you might be worried you cannot think of anything that is worthwhile. Most often those who sell products have a better idea of how to market their company through email because they can always use their products as incentives. For certain purposes this works. For anyone who has worked in retail there is an understanding of what a sale is. A sale is going to be products the store has in excess, has no room or desire to store, and needs to get rid of. If there is one item left of a product it might be put on sale just to get it out of the way for new inventory coming in. But often sales are all about getting things out of inventory when they are not successfully moving out of the store online or in a physical location. These are not products that are generally wanted by a huge array of your consumers. Those that wanted them bought them and those who didn’t avoided them. Marketing such products through email is actually very hard. You want to target those who bought the items. You also want to make it worth their while to have two of the same color or two or three of these same products. When creating your email marketing campaign for this it means a two for one special is often your better bet. Let one go for free so you can make money on items that will sell better. You can also use a different target. What if you could put a known seller on sale for a decent savings? Perhaps you have a product that is $50 and you know it will sell for $30. In fact you might actually be able to sell 2 to one client at the $30 price and thus sell more product in the end. What if the incentive was also a free gift and that inventory gift is something you need to get out of the store? Right here you enticed someone to buy more, but you also cleared some inventory with your email marketing campaign. Furthermore, the person that may not want the free gift will probably re-gift it to someone they know who would like it or as a co-worker gift come the holidays. Anytime you can provide a free product, even disliked, it will help you make sales when the purchase product is something the buyer wants. It gets you the sales you need. Your email marketing campaign also reminds your client that you are willing to provide sales and they need to pay attention to you. 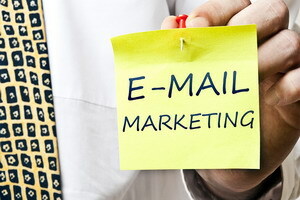 These are just two methods for using email and marketing campaigns. The sale needs to have the right incentive for the product based on the type of inventory it is. If it is a product not being sold, then buy one get one free is a definite option. If the product will sell, but you have one that won’t pair them together. Always make the email marketing campaign worthwhile in some way whether it is a larger discount, free item, or other option. If you can follow the email marketing rules then you have a better chance at successfully pulling your consumers back into your business and making better sales. You also have a chance of picking up new clients by word of mouth as your clients share the email with someone who would like what you sell.